Watch out now, this post is a "two-fer"! I love ALL kinds of hummus! With only a few ingredients, this is one of those recipes that you will be like "why don't I make this all the time"?!? It takes only minutes to whip this up, and you can enjoy it with veggies, pita chips...whatever/however you want. DELISH! 1. Add beans, garlic, basil, and 4 tbsp. of extra-virgin olive oil into a food processor and pulse until smooth. 2. Add the extra tbsp. of extra- virgin olive oil if it is too thick. To take it to the next level...make wraps! I just spread the hummus onto a sun-dried tomato wrap - then added grilled chicken, lettuce, tomato, and sliced red onion. It was a ridiculously easy (and yummy) weeknight dinner...usually those are the best kinds! 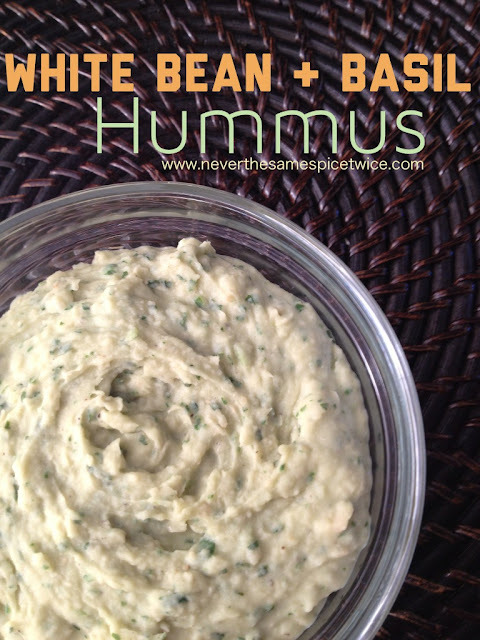 I love white bean hummus! And the basil sounds delish! 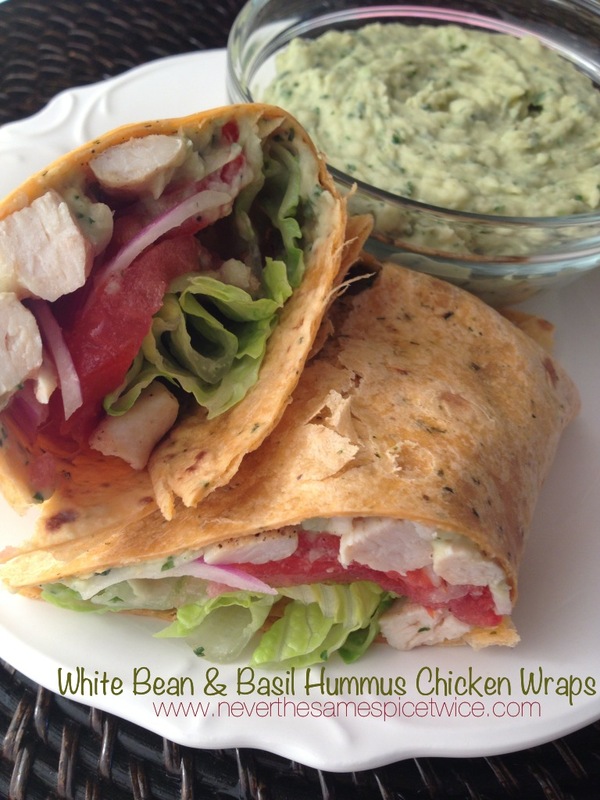 We need easy dinners this week so I'm thinking some hummus wraps are in order! mmmm hummus. I love it!